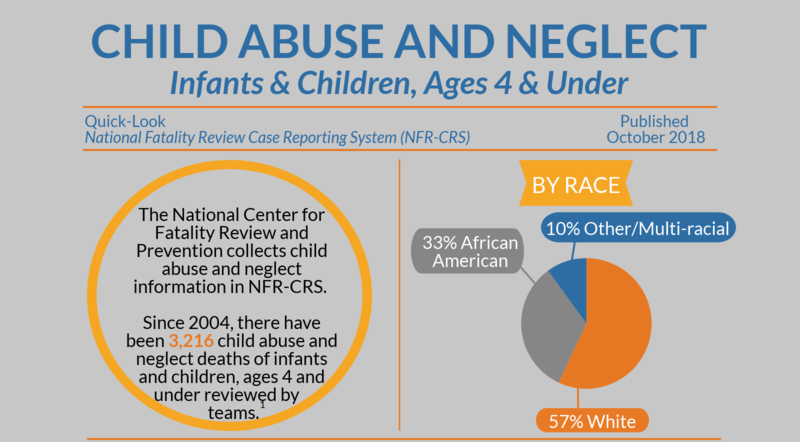 The National Center for Fatality Review and Prevention collects child abuse and neglect information from the NFR-CRS. Since 2004, there have been 3,216 child abuse and neglect deaths of infants and children, ages 4 and under, reviewed by teams. This Quick-Look will provide further detail about our data. 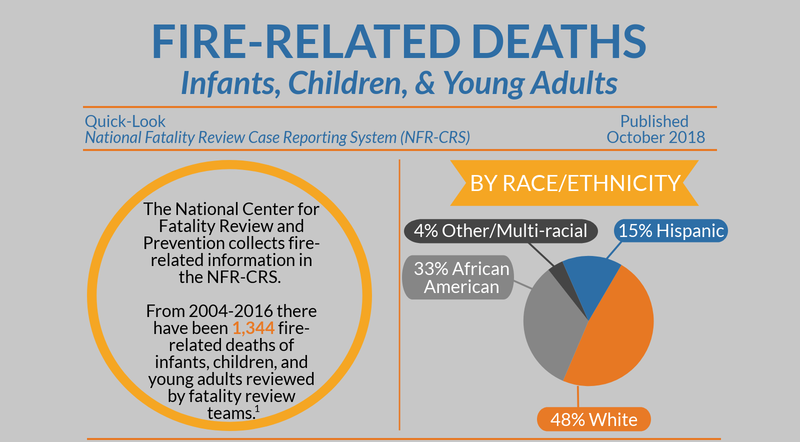 From 2004 – 2016, there were 1,344 fire-related deaths of infants children and young adults reviewed by CDR teams. This Quick-Look will provide further detail about our data. 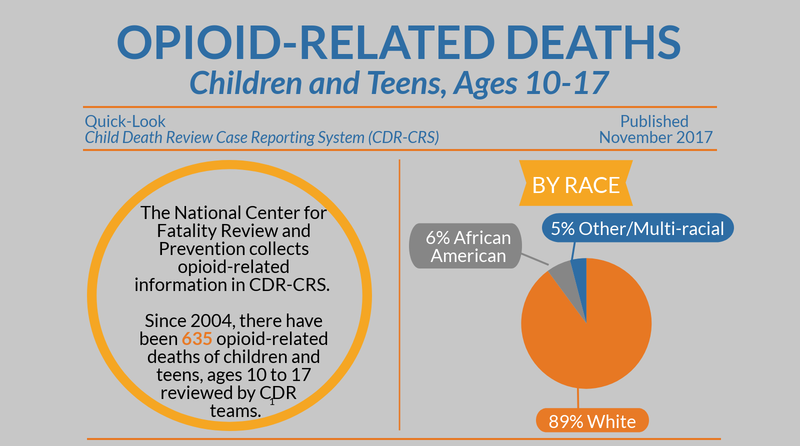 Since 2004, there have been 635 opioid-related deaths of children and teens, ages 10-17 reviewed by CDR teams. This Quick-Look will provide further detail about our data. Click here for further information about our data and analysis.